Need something to keep your students busy during library or a transition time in class? 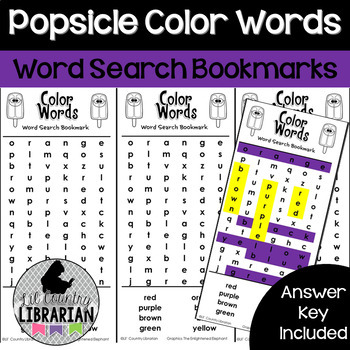 These Popsicle Color Words word search bookmarks would be fun for summer school, back to school or Popsicles on the Playground. Great for reinforcing sight words, as well. 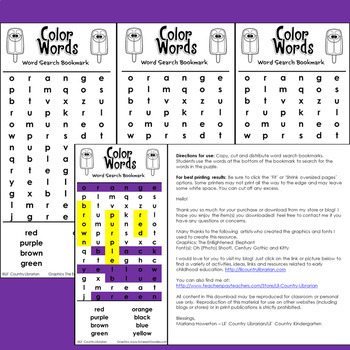 Each bookmarks includes 8 basic color words to find.